Trade finance reduces risk in the process of trade. Given the number of parties involved, intermediation allows buyers and sellers to transact more efficiently across borders, currencies, and languages. The transaction volumes are huge. According to a World Trade Organization report, in 2017 there were U.S.$15.5 trillion of merchandise exports were transported around the world across sea, air, rail, and road. Up to 80 percent of this global trade required financing. Trade finance is not easily accessible to everyone and in every region. In 2017, the Asian Development Bank (ADB) estimated a global trade finance gap of U.S.$1.5 trillion dollars. Furthermore, 40 percent of unmet global demand for trade finance was pooled in Asia Pacific and Africa. How data is shared in trade today exacerbates the inherent challenges of emerging markets, and shortfalls in supply have persistently pooled in frontier markets and among small- and medium-sized businesses (SMBs). SMBs in every jurisdiction face shortfalls in access to trade finance. Banks report that 74 percent of their rejections go to SMBs. Globally, these companies have reported that lack of trade finance as one of the major constraints to their businesses. These companies are also adversely affected by the higher cost of screening and higher interest rates. Scalability remains a challenge. Many companies have turned to digitalization as an answer to the lack of visibility, low-profit margins, and “know your customer” (KYC) concerns that drive trade finance shortfalls. While digitalization has changed the way individual entities in trade finance process information, these benefits have not scaled globally into a connected network. If each node in the trade finance network maintains its proprietary source of information – as it does today – digital documentation needs to be checked and re-entered at every step of the process. Having many different centralized systems globally leads to localized data centers that do not interoperate with a broader network. Digital improvements to non-digital infrastructure can only go so far. A fundamental reorganization of the system is required to change trade finance enough to address the shortfalls and gaps. Blockchain technology presents an open technology layer that enables programs to connect and scale. The decentralized architecture of a blockchain can serve as a better foundation for interoperation along a global and intermediated process like trade finance. And by building a blockchain solution on AWS, users can seamlessly and securely access compute resources on-demand and at scale around the globe, taking advantage of digitalization efficiency gains and driving interoperability at scale. Trade finance is inherently decentralized. Trying to match centralized architecture to this decentralized process has led to the data siloes and problems faced today. By changing the structural foundation of trade finance, blockchain technology presents an opportunity to narrow gaps in an unconventional way. Having a decentralized, yet trusted and secure record of information shared between relevant parties can reduce frictions while maintaining the efficiencies of intermediated trade. Using AWS to build a blockchain solution can drive and improve security while accelerating automation of the technology stack delivery and deployment. This also enables the use of additional value-added technology solutions that integrate with or are built on AWS. Trade finance is highly regulated, cross-jurisdictional, and involves multiple parties confidentially exchanging information. So private-permissioned enterprise blockchains that are built with the requirements of companies with the most stringent security and compliance standards in mind, and that focus on optimizing at the level of an industry rather than at the level of individual firms, are optimal for the particular characteristics of trade finance. There are features of enterprise blockchains that allow them to retain the benefits of decentralized systems while addressing the shortcomings of public blockchains for the trade finance use case. Enterprise implementations of blockchain technology, such as Corda Enterprise, are better able to meet the data privacy requirements of international trade as they avoid public broadcast of all information to all parties. Further, depending on the architecture, they can address the scalability limitations of public blockchain systems. Low profitability comes from two sources: the bank’s cost of processing a transaction and the expected revenue. SMs will naturally provide a smaller anticipated profit given the expectation their transaction volume and frequency will be low. Steps are eliminated when relevant parties maintain the same version of the truth. Having automatable processes accelerates steps that cannot be eliminated. Both oracles (an agent on the blockchain that provides information to the participants of one or more business networks) and signatures (or multiple signatures) from trusted parties can trigger other events on a blockchain, removing delays for information dependencies. All of these features help eliminate confirmation steps because parties can trust that the information they see is the same as other parties. One of the major cost multipliers in trade transactions is the passing back and forth of the same documents multiple times. The cost and time to process a transaction can be significant due to the variety of actors and steps involved. Much of the cost arises from delays, friction, and additional effort needed to handle trade data. Underpinning these issues is the fact that trade finance is a linear process that is heavily reliant on paper documents. The paper documentation is carried from port to port along with the cargo, checked, signed, faxed to the various parties—including banks—with very little visibility of the whole process by any single participant. Manual checking is time consuming and can be error prone. Bottlenecks also occur frequently because no party has overall control over or visibility across the full process. In any transaction on the blockchain, there is a single source of verified data that is immutable. As a result, all parties can have confidence that the information on the screen is verified and is the same as what their counterparties see on their screens. The data is accurate and reliable from the beginning. Having a single source of truth shared between relevant parties also reduces costs that result from errors associated with repetitive verification. This reduces the time to financing as it reduces information float (the time until information is available) and increases real-time visibility of trade. Faster information transfer with fewer errors can reduce the additional costs associated with riskier trades and deliver improved margins. A second way that blockchain can address profitability is by automating some steps that currently have a long lag time. With R3’s Corda Enterprise, for example, flows enable coordination from different nodes to trigger “transactions,” or updates to shared states between parties that are automated. Oracles and third-party signatures are two examples of inputs to a blockchain that can trigger an automated process. An oracle sources source information from real-world events, third-party data providers, or other blockchain activities. An oracle can push information to a business network either regularly or upon request and is not party to a trade. A trusted third party may also provide signatures to a blockchain. For example, DHL may send a payout upon signature when goods have arrived at a certain port, triggering the next process automatically and thus removing frictions. Once the physical cargo has been checked and the data is in the system, an automated contract could instantaneously release the funds from the seller’s bank to the buyer’s bank. This is one example of a smart contract, and a self-executing transaction. This could significantly reduce the delay between the checking of the cargo and the final release of funds. Another driver of trade finance rejections is a lack of reliable information, which makes it difficult for stakeholders to accurately measure risk, a problem that is compounded for SMBs. Is the SMB capable of delivering quality goods/service in the timeframe stipulated in a contract? Will the SMB remain solvent for the duration of its obligations? Recording transactions on a blockchain leads to a treasure of metadata from which financial institutions could answer SMB performance risk-related questions reliably and efficiently. If all transactions in an SMB’s life are captured step-by-step through a blockchain, that information could be organized to address a root cause of an SMB’s finance market gaps. Furthermore, the blockchain can take advantage of AWS services and AWS partner solutions to deliver new and timely insights at scale to different parties. For instance, the blockchain could integrate with machine learning technology, such as Amazon SageMaker, and advanced data analytics and storage services on AWS to query data, explore trends, and run predictive analytics. For trade finance this could lead to better pricing models and a wider range of products and facilities. Regulatory oversight plays a critical role in the functioning of the global financial system. Over time, both the diversity of regulations and the size of sanctions fines have increased. This relates to the third major driver of rejections for trade finance proposals: KYC and money laundering concerns. The cost and complexity of regulatory compliance play an important role in transactions costs. The problem for trade finance is that 29 percent of rejections are based on KYC concerns. Enterprise blockchains can address the uncertainty related to compliance via three features. These include live information sharing through a regulator node; active regulation by requiring attestations by third parties that have done KYC checks; and more data for retrospective analysis that may facilitate more effective regulation. Beyond blockchain’s ability to enhance the reliability and efficiency of conducting KYC and anti-money laundering due diligence, the technology can also address two related regulatory issues. The first is uncertainty by regulators. Because regulators only see a trade after it has occurred, their lack of insight shifts the burden of vigilance onto banks. The second is uncertainty by banks. The regulatory environment is complex and not harmonized. Each bank needs to satisfy different levels of regulation. Notary functionality: Double-invoicing is a common concern in trade finance. It can occur in error where a transaction is mistakenly counted twice, or in a fraudulent setting where a malicious actor tries to alter the process. This concern forces financial institutions to spend the time to validate all the transactions to prevent instances of double-invoicing. Blockchain technology has the potential to address some of these fraudulent transactions. With Corda Enterprise, a notary ensures uniqueness of an invoice or payment. This can address the double-spending problem; because a transaction is represented as a particular state, it is mathematically impossible to re-use the same state more than once. That is, if a particular invoice has a certain number, the same asset literally cannot be sent to two banks. It can only be used once, and the notaries will enforce this. While this does not protect against people creating two separate invoices with different numbers, banks can ensure that a certain state is only used once if they are on the same application. Regulator nodes: Enterprise-level blockchains enable the addition of a specific type of entity into the transaction referred to as a regular node. The regulator node can be incorporated into the network and allows regulators to monitor transactions that occur on a real-time basis, but it doesn’t give them the ability to change the transaction. Having this ability can reduce the need for manual regulatory reporting and can significantly reduce costs. Attestations: On a blockchain network, trusted third parties can attest that a particular party is reputable. Onboarding of a new corporation, or entity, could involve the signature of an entity that has done due diligence. Audit trail: Immutability of data refers to the fact that a state can’t be changed or modified after its creation. The immutability creates a clear audit trail into the transaction, as historic states are stored and assessed. It will be impossible to tamper with the data, maintaining data integrity at all time. 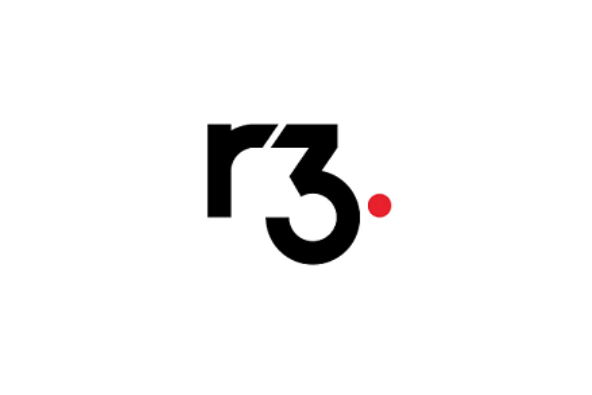 R3, an AWS Partner Network Advanced Technology Partner, is a distributed database technology company that leads a consortium of more than 200 firms in research and development of distributed ledger usage in the financial system and other areas of commerce. It is headquartered in New York City. To learn more about R3 Corda Enterprise and how you can start using the platform, click here. Interested in learning more about the use cases you can address using enterprise blockchain technology and the AWS Cloud? Click here.